The 43rd annual world renowned event, Knott’s Scary Farm, returns for 24 horrifying nights September 24 – October 31 and conjures up never before seen experiences and show-stopping entertainment including three new bloodcurdling mazes, Elvira, Mistress of the Dark, in an all-new stage show and the return of the groundbreaking Special Ops: Infected – Patient Zero. PARANORMAL, INC. – Case #1 – The Haunting of Hayden Hill (New for 2015): Featuring high flying aerial stunts and scares, in the groundbreaking new maze, guests investigate a haunted hospital where the patients were tortured for decades by deranged doctors and nurses. Demonic spirits of the murdered victims have been detected throughout the mysterious halls, while evil medical staff hunt for new patients to torture. My Bloody Clementine (New for 2015): There is no tale more vicious and vengeful than that of My Bloody Clementine. 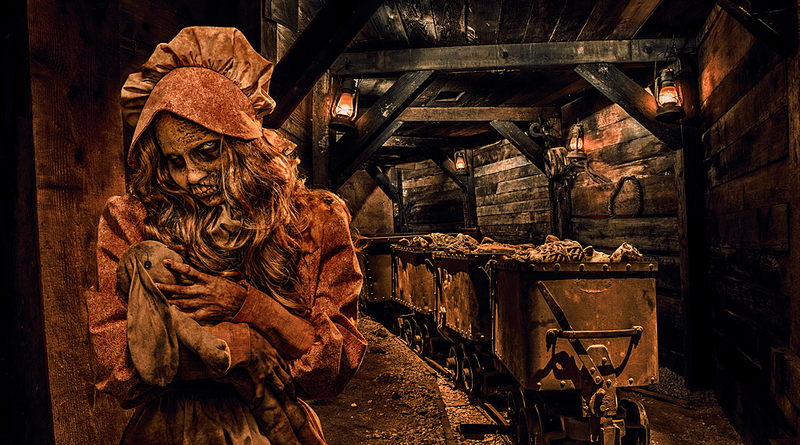 Take a grim ride through the Calico Mine where Clementine and her father were brutally murdered centuries ago. Their wretched spirits roam the tunnels in search of those who killed them. 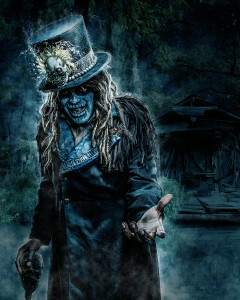 This year the ride through maze will feature live monsters out for revenge at the train track’s every turn. 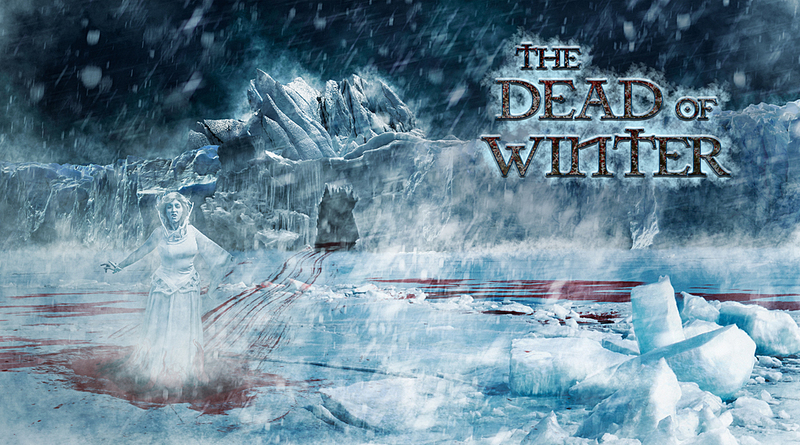 The Dead of Winter (New for 2015): Escape the icy grasp of the chilling Snow Queen in the all new maze. Backed by with a ravenous beastly army of resurrected Viking warriors, she is hell bent on avenging her beloved family’s murder, and preys upon any unsuspecting visitors who enter the borders of her icy domain. Guests with a Skeleton Key will have the opportunity to unlock a bone chilling surprise. (New for 2015) Prowling the darkest corners of Knott’s midways and scare zones, the Green Witch and her Deadly 7 is a sadistic crew guilty of more terror than meets the eye. Each of the monsters represent one of the seven deadly sins and make terrifying surprise appearances throughout the park each night. 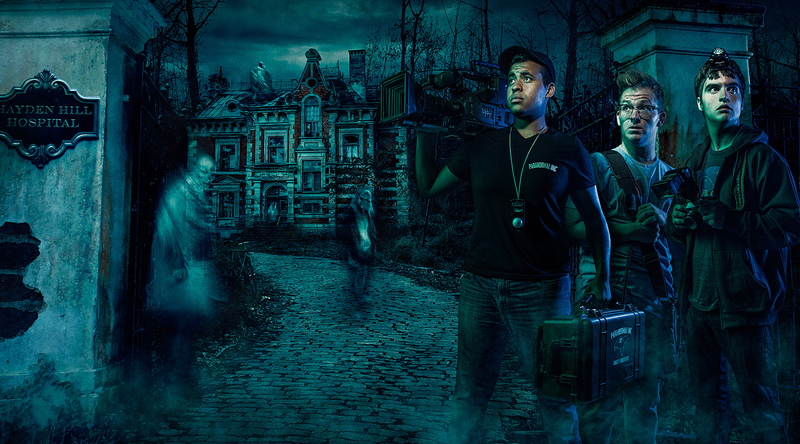 This entry was posted in Haunted Attractions, Home Page, Home Page Slider, News and tagged Dead of Winter, Deadly 7, Elvira Mistress of the Dark, Knott's Berry Farm, Knott's Scary Farm, My Bloody Clementine, Paranormal Inc., Special Ops: Infected – Patient Zero. Bookmark the permalink.